Take the Long View. Looking for new ways to have fun with your family and friends? 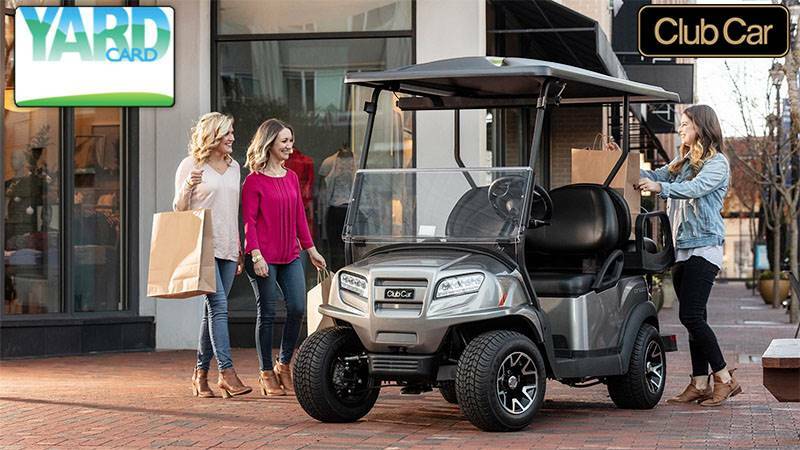 The electric vehicle comes with a maximum speed of 15 mph, or with Club Car’s 19-mph Private Use Speed Option, making it ideal for gated, country-club and retirement communities. Either way, it’s whisper quiet and emissions free. Use it for visiting neighbors, dropping family and friends off at the pool or tennis courts, at your vacation home, in your small business or playing golf. Don’t be short-sighted. Enjoy more smiles per mile with the Precedent Stretch PTV. FORGET ABOUT CHARGING ERRORS! 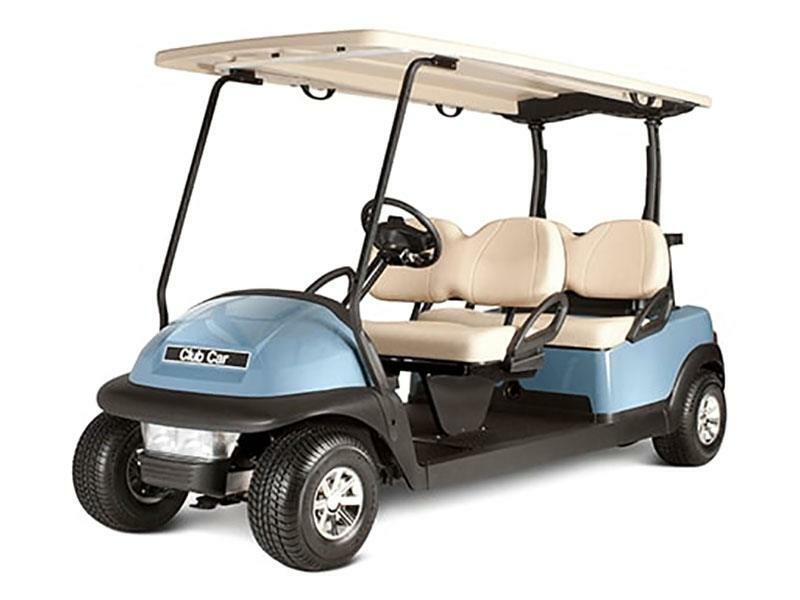 The chargers in many small four-wheel electric vehicles are subject to common user errors that can leave you stranded. The Precedent® Stretch PTV’s new solid-state, high-frequency charging system makes those errors almost obsolete. Known as ERIC™ (Efficient. Reliable. Intelligent. Connected. ), it issues audio and visual alerts that tell you when: charging begins, the car is receiving AC power and when it is charged, the battery falls to 20% then 10% charge, and problems occur. MONSOON TOP™ CANOPY: Occupants will stay dry and comfortable in the heaviest downpour with the Monsoon Top™ canopy, now standard on the Precedent i2. The canopy’s increased dimensions, combined with a unique built-in drainage system, flow more than three gallons of water per minute, or 14 in. of rain per hour.